The weather has taken a definite chillier turn in the past few weeks, and I for one just love the Autumn. The darker, cosier nights, the smell of a log fire and the excuse to hibernate in your craft room in your PJ’s when you get in from work! In amongst the new October releases from Visible Image, is a fabulous background set of stamps, Set the Tone and I know we’re going to be firm favourite! 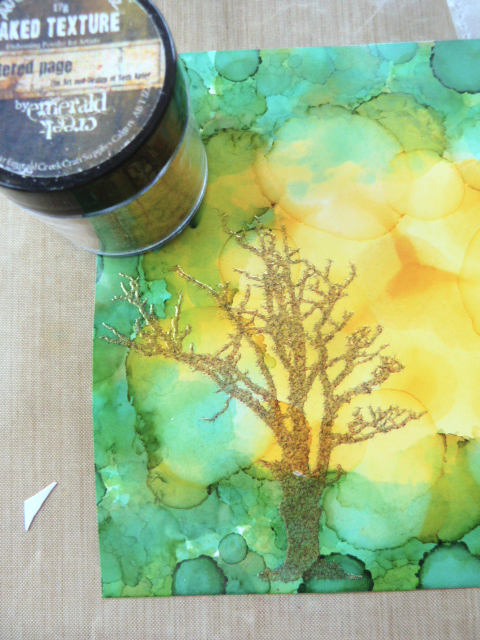 I had the idea to make an Autumnal sunset using the ray of light stamp (that’s what I’ve been calling it anyway!) and the Strobes stencil. After making the background (using Distress Oxide Ink Pads), I’ve used the Strobes stencil to add a subtle sunbeam effect before using the ray of light stamp with gold embossing powder. The ‘sun’, also heat embossed in gold, is the circular ink splat from the Organics set. To add finer detail, I’ve used the polka dot stamp (also from Set the Tone) randomly around the sun and it’s beams. To add depth to the scene, I’ve stamped the first stamp using a grey colour and I love that it’s stamped a bit mottled as I feel it add to the effect. The rest of the stamps are all in black and I used a stamping platform for these as I didn’t want to run the risk of it not stamping correctly! To finish, I’ve sponged grey and black inks around the edges and matted it onto both a Marigold colour and black card before adhering to a card blank. I decided not to add sentiment to the card as I didn’t think it needed one… I love it just the way it is! You will find more awesome projects from Heather over on her blog. Don’t forget to show us what you create with our stamps and stencils by tagging us in your posts or sharing them in our Facebook group! Enter our Autumn Colours challenge for your chance to WIN a £40 coupon!! We will be back later with more incredible inspiration! I’ve got some beautiful Visible Image stamps today, and a scene that is surprisingly easy to create. All you need are your Spectrum Noir sparkle pens in sunset colours, some torn copy paper and of course your ‘Into The Woods’ stamp set and the lovely sentiment! 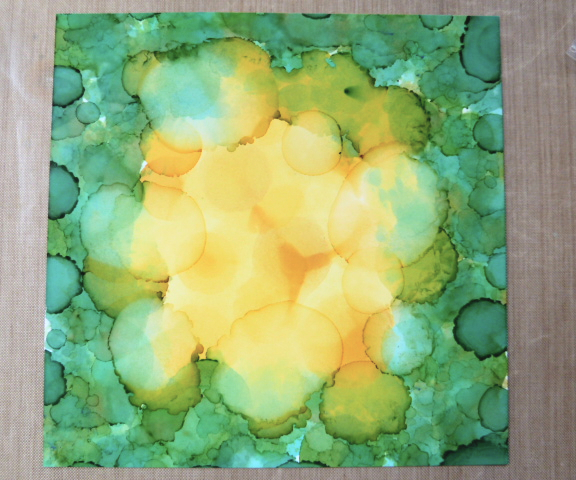 To create the background I sprayed some water colour card with water. I squeezed some colour from the pens on to my craft mat – blues, purple, pink, orange and yellow. Using a paint brush and water I laid down the colours and let them bleed together (wet on wet). When dry, I inked against a piece of roughly torn copy paper using grey versa fine ink. I stamped the focal image and owl in black and, using parts of the tree stamps, I stamped around the edges and on top of the torn paper (black at the front and 2nd and third generation ink to create dimension). The sentiment was then added and the picture mounted on to complimentary card. We will be back later with the first preview from our summer release…. ! Thanks so much for stopping by today, and for your very kind comments which you take the time to leave. All our latest stamp designs are back in stock now! Have you checked them out yet? We will be back a little later with a fantastic card from Tenia! I’m back today sharing a couple of makes for Visible Image and once again, I’ve used one of their fabulous new releases – Into The Woods. The DT has already come up with some absolute stunning makes using this forest stamps set but I can’t seem to get away from making it look dark and moody! The first card uses a mixture of mediums for the background and once dried, I’ve used the largest stamp from The Ripple Effect with a clear embossing powder to create another texture. To break up the sky, I’ve stamped Scripted Streets randomly in a deep brown as well as taking the stripes from the Stars and Stripe stencil and teaming it with Nuvo’s Hybrid Metro Grey ink pad. As you can see, the circles from The Ripple Effect has resisted the ink and left a hint of a circle. The wood landscape stamps are just fabulous. Lovely and wide (they are A5 in width) you can layer them in different colours to create depth, or as I have done here, just used a black ink. I can see these being hugely popular… especially if you add a hint of white embossing powder to resemble snow – a Christmas scene right there!! 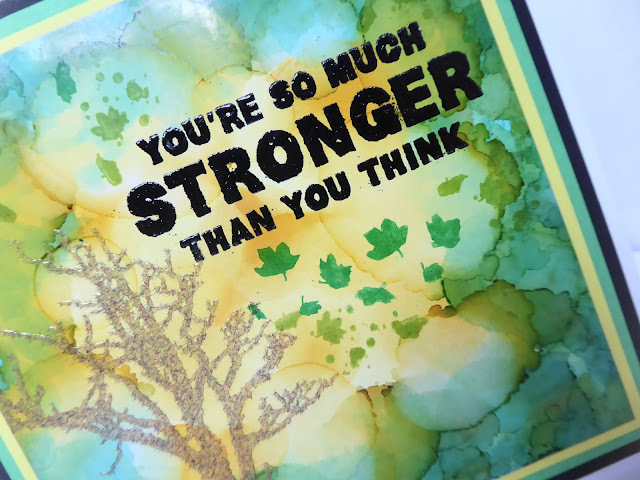 To finish the card, stamp the sentiments onto grey inky card using a black ink pad and secure to the card using foam tape. Matt onto black and and attach to a card blank… et voila! My second make today is really moody and quite haunting. The background is similar to the first one, generated exactly the same way. When dry, I’ve die-cut a circle from card and used the negative to add grey Oxide Inks in Hickory Smoke and Iced Spruce. I’ve used my finger to smudge the ink and once happy with the colouring, I’ve added Nuvo Aqua Shimmer in Glitter Gloss around the edges for a hint of sparkle. Once the mask has been removed, I’ve used Derwent Inktense pencils to add a little yellow to the edges. The woods have been stamped using Wow’s embossing powder in British Summertime (excellent name for a grey!) and Ebony Superfine Black. The detail on the large tree is just beautiful! To finish, add a sentiment. I’ve chosen ‘always listen to the voices in your head’ as I loved the font and felt it worked well with the moodiness of the card. Add black ink to the edges and matt onto an olive green card before securing to a card blank. Check out the other DT makes on the blog using the new releases… they are all absolutely stunning!! Our ‘Into The Woods‘ stamp set really is so versatile… whatever the season! We will be back a little later with stunning inspiration from Lanette! I adore trees! This set is awesome because it allows you to layer the stamps to create dimension. It is so versatile! I thought I would begin with a night scene for a change. A couple of days previously I was playing with my brusho powders. As usual I got carried away and ended up making several pages of murky purple smudges. Of course I couldn’t bin them because I’d used precious Sheena stamping card! However the more I studied these leftovers I thought perfect for making galaxies .. as you do! I got my pastel pencils out and began to highlight the colours and add a few chalky galaxy effects. There was a lot of blending and smudging! I placed the lightest colour (pink) at the bottom of the sky and stamped the background trees in grey along this area. Then I stamped the foreground trees in black. I added a few lines of blue, purple and black in front and used part of the background set to create shrubbery at the front of the picture. To create the stars I made splatters using white acrylic ink and a fan brush. The larger stars were enhanced drawing lines with a white pen and a ruler. I stamped the birds and highlighted the wings using a gold pen. The brushos had made line marks so I just had to pretend there was a meteor shower going on! 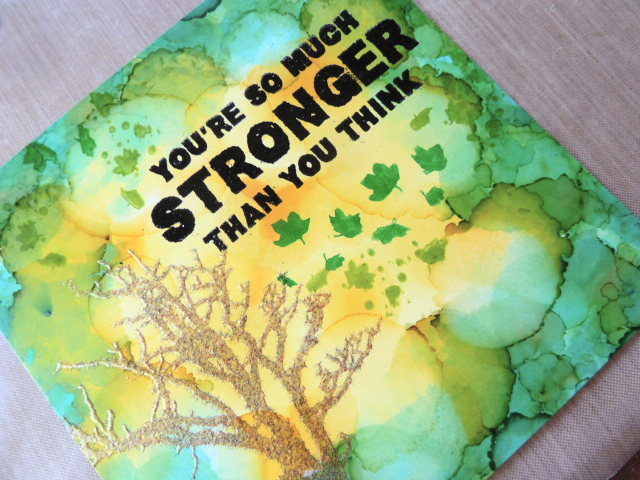 The STAY GROUNDED sentiments were stamped on to lilac card and mounted on foam pads. Lots more exciting stuff to come including must have stencils!!! Your galaxy sky is amazing Lisa! What a stunning project ♡ Thank you! 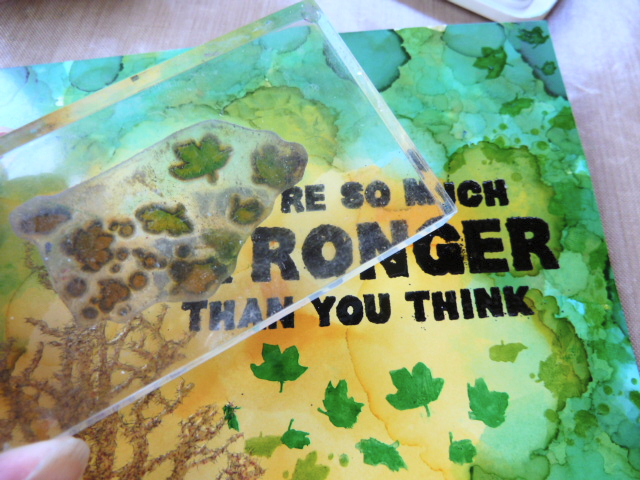 We will be back with a gorgeous art journal page from Elisa later. Thanks for visiting our blog today.. stay grounded! Good Evening! I am delighted to be here with my weekly dose of Visible Image design team inspiration. Over the weekend we had record breaking temperatures and it’s hit 28c here! I am loving it. We went to find some shade yesterday in our local woods. I took some photos for today’s post as I am using the brilliant new Into The Woods stamp set. The new leaves are all a glorious lime green as they are still so new and tender. I love looking through at all the different levels of trees. From saplings to mighty fully mature oaks. The brand new Visible Image Into The Woods stamp set is absolutely perfect for recreating these magical scenes. I decided that as I wanted to use all the stamps in the set for my first creation I would set my scene at night time…just imagine… the time when the sun is just going down and the shadows lengthen. I blended my Distress oxides, I used squeezed lemonade, broken china and lucky clover, onto some heavy weight smooth card stock. I added a little spritz of water for the stars. I then stamped some shadows using my Versafine Claire ink and the background stamp. Here we go…the shadows lengthen and the day is nearly done…up in the sky you might just see the stars starting to twinkle. I also stamped, embossed and cut out the words I wanted to use. I finished off my card with the little owl stamps. So let’s further set the scene…….imagine that the daytime bird song has be replaced by the hooting of owls…and everyone has gone home from the woods. It is the turn of the creatures of the night to re claim the woods until morning….. The little owl stamps are just delightful. Here are a couple of close ups. but that’s another story and another creation which I will share soon. The new stamps and stencils release can be pre-ordered now! and they will be shipped to you on Friday… don’t miss out! 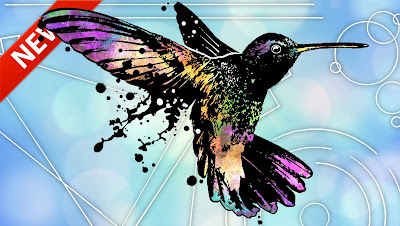 There are 6 new stamp sets and 8 new stencils… all totally amazing and uniquely Visible Image. Thanks so much for taking a trip into the woods (and my imagination) with me today. Enjoy this awesome bank holiday Monday and I will be back very soon. Thanks as always for the kind comments you take the time to leave me. Loving those photos, such fantastic inspiration! We look forward to sharing your bluebell inspired piece soon!